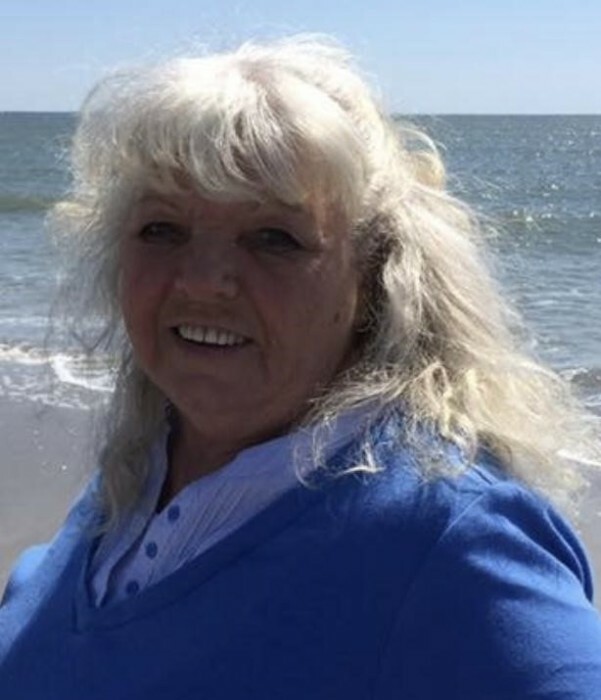 Karla Dee Erickson Laws, 63, of Belmont, NC, transitioned to Heaven on February 5, 2019, surrounded by family at Levine-Dickson Hospice House in Huntersville, NC. She was born in Bellflower, California, to Alvin Elsworth and Mamie Marie Erickson. Karla was manager at Nichols Food Store in downtown Belmont, for over 22 years. This is also where she met her future husband and love of her life, Gary Laws. Karla became a local icon, due to her countless hours giving back to the Belmont Community, local churches and charities, especially the BCO (Belmont Community Organization) for which she collected food, volunteered time, and hosted the annual Angel Tree toy drive for children in need. Karla also received many accolades, recognition, and received the Belmont Citizen of the Year Award. Karla was preceded in death by her father and mother, mother-in-law Virginia Laws, and sister Sonja Allred. In addition to her husband, Gary Laws of Belmont, she is survived by her son John Wesley Hardin and wife Dawn of Gastonia, daughter Carrie Formby Deal and husband Jonathan of Belmont, daughter Sonya Cole and husband Rev. Kenny Cole of Winnsboro, SC, stepson Matthew Formby of Reno, Nevada, stepson Zachary Formby of Vacaville, California, sister Carole Van Lierop of Federal Heights, Colorado, sister Sharon Broussard of Belmont, NC, sister Cleo Polston of Pahrump, Nevada, brother Kenneth Erickson of Federal Heights, Colorado, brother-in-law Jack Polston of Glendale, Arizona, brother-in-law Jimmy Laws and wife Missy, of High Shoals, NC, grandchildren, Rebecca Bogart and husband Ryan, Zach Cole, Matthew Cole, Madison Hargett and Rachel Cole, great-grandchildren Riley and Ruth Bogart, special nephew David Romero, special nieces Dana and Deva Broussard, as well as numerous other nieces, nephews and cousins, special family friends Crystal Ginyard and Glenn Nichols. Visitation and Celebration of Life will be held Saturday, February 9, 2019, at Woodlawn Funeral Home, Mt Holly, NC. Visitaion will be from 12:00 PM to 3:00 PM and the Celebration of Life will begin at 3:00 PM. In lieu of flowers, donations can be made to the Belmont Community Organization or the Levine Dickson Hospice House in Huntersville, NC. Condolence messages may be sent to the family by visiting www.woodlawnfuneral.org. Woodlawn Funeral Home of Mount Holly is serving the family.